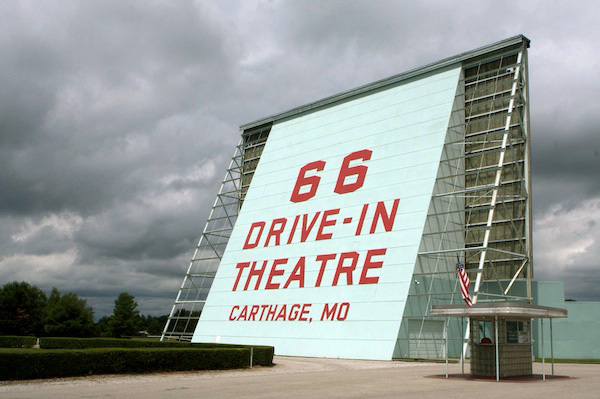 66 Drive-In Theatre was an inspiration for "Cars" | Best Road Trip Ever! Originally built in 1949, four years before the first local television stations signed on in the Joplin-Springfield area. In an era before widespread adoption of transistors and before the invention of integrated circuits, car radios were not standard equipment in all vehicles. The few radios installed in vehicles were of vacuum tube design and power-hungry by modern standards. A series of poles in the car park of the nine-acre site were therefore deployed to hold loudspeakers so that viewers could hear the movie.